At Manning Materials, we’re proud to put our name behind the exceptional quality and performance of Dryvit CCP Stucco. 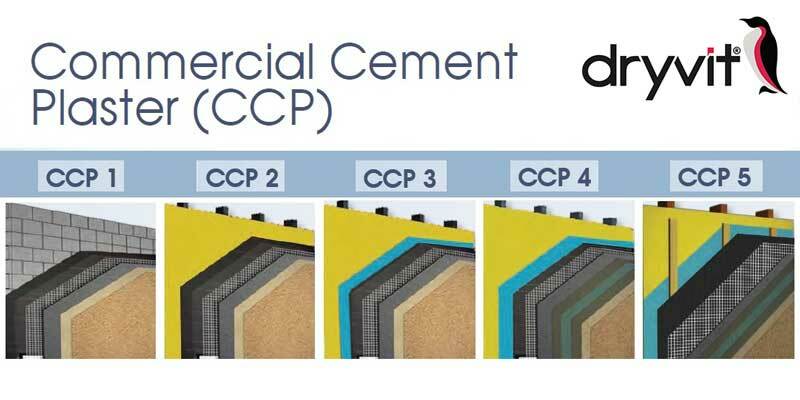 Innovative, comprehensive and technologically advanced, Dryvit CCP Stucco brings you the right combination of materials and results for your most challenging building projects. Whether your top priority is moisture protection or limiting cracks, Dryvit CCP Stucco has the solution. If lightweight assembly or a traditional thick coat plaster is on your list, you’ll find the finest options from Dryvit CCP Stucco. With most of the Manning Materials team offering you 15 years of experience or more in the field, you can rely on us to be your trusted resource for cost-effective, efficient and lasting solutions every time – not to mention the latest application advice combined with time-and-money saving tips.